More Fearful Passage questions: Does Deerfield still exist? Not only does it exist, but the site of the original village is restored as Historic Deerfield and is well worth visiting for a day or more. Although it represents the village as it was some years after 1704 and the Fearful Passage North, it does have abundant material concerning the raid. One can stroll down the town road past the homes to the north meadow where Lizzie took her cows and met Andrew in the woods that still provide cover to the Deerfield River. Tours are available and there is a museum, library and book store. You can stay at the classic Deerfield Inn which I highly recommend. Their website, www.historic-deerfield.org is very helpful. More Andrew questions: Were his ancestors really French Huguenots? We really don’t know, but a many of these French Protestants fled to England during the wars of religion and many became Puritan and ultimately fled to the colonies. Francis Marion who was the inspiration for the movie, THE PATRIOT, came from such a family. Since Andrew had spent significant portions of his life in all three of the cultures of the time and place: Puritan Protestant, Native American and French-Canadian Catholic, he was the ideal person to explain the differences and similarities to Lizzie. 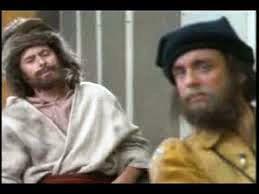 Adding French Huguenot made him even more interesting. Next time I’ll leave Andrew for a while to field other questions. French last (family) names sometimes begin with an article or preposition. For instance, in LeDuc, “le” is the article “the”. In De Noyon, “De” is the preposition “from”. 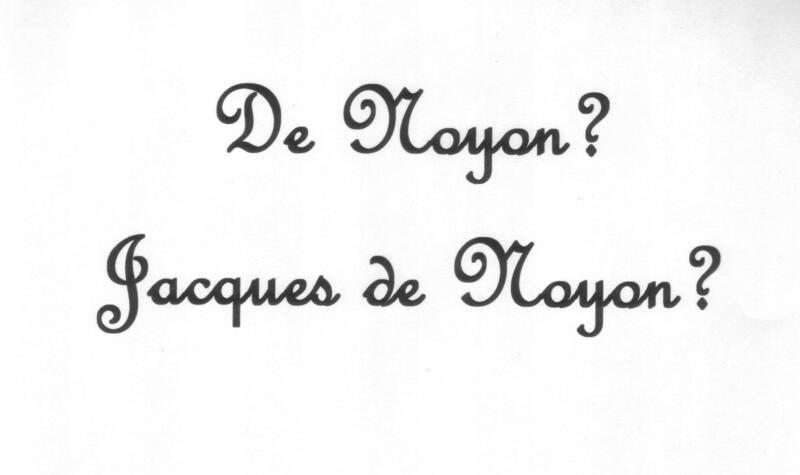 This can be spelled as one word, (Denoyon), or two, (De Noyon) as Jacques spells it. If it is spelled as two words, the “de” is lowercase IF it is preceded by a first name (Jacques de Noyon) or uppercase if the last name only is used (De Noyon). There are other exceptions, but this is confusing enough. I will return to the question of Andrew the Indian next time. De Noyon and "THE INDIAN"
Jacques de Noyon and a colleague. The unusual appearance of De Noyon along with two other Frenchmen and an Indian in 1702 is well accepted by historians. Andrew being the Indian was too good to be a coincidence. The time, place and circumstances fit perfectly with the plot of FEARFUL PASSAGE NORTH. The two Frenchmen are not named in the history books but did stay with De Noyon and were taken with De Noyon, his new wife Abigail and Lizzie on the raid. I took the liberty of naming them LeDuc and LeMieux. 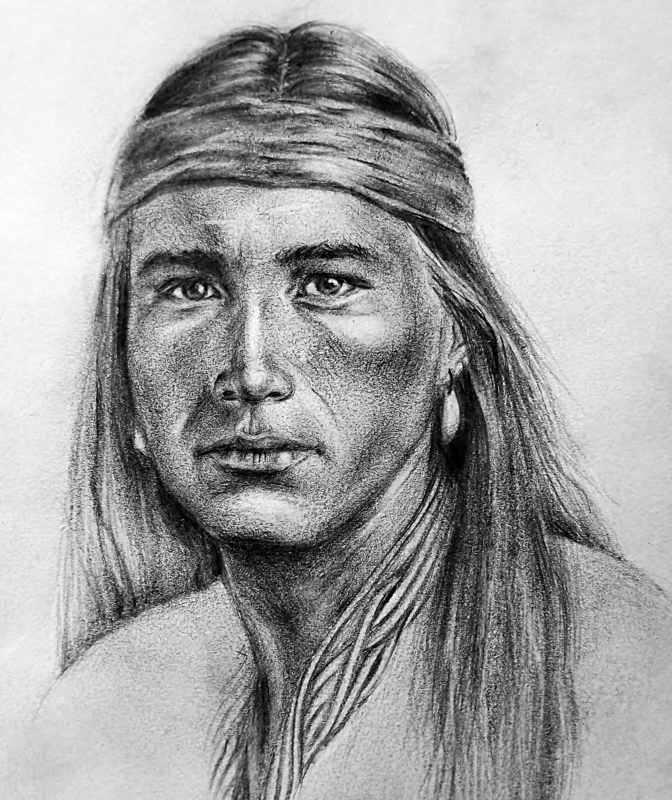 The Indian is not named but many scholars think it was Andrew. Interestingly, there is no mention of the Indian on the march to Montréal, so this fits with Andrew’s death in the raid. If he was not and Indian, what was he? One of the more recent and certainly most complete academic histories of the Deerfield Raid is CAPTORS AND CAPTIVES… by Haefeli and Sweeney, 2003. I referred to it frequently in researching Lizzie and Andrew’s stories. They propose Andrew was more likely to be a young Puritan boy named Stevens or Stephens taken from Pemaquid, Maine in one of the era’s numerous Indian raids with his older sister, Katharine. This boy was christened Samuel, but it appears he shows up being baptized near Quebec as André. I chose to keep him ‘Andrew’ throughout to avoid confusion. The age and circumstances of this lad seem to match Andrew very well and help solve the mystery about the Indian identity.